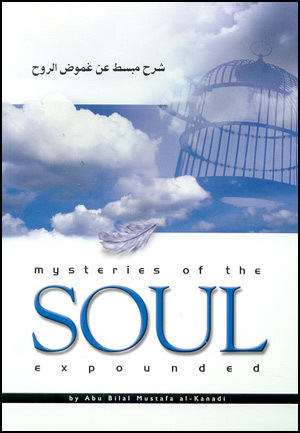 Download Islamic books on Tazkiyah (Purification of the Soul) including Mysteries Of The Soul Expounded, Kindness And Gentleness, Dealing With Lust And Greed According To Islam, From The Characteristics Of The Salaf, Contemplation, Deeds of the Heart & Fear. The subject of this treatise - the nature, essence, and circumstances of the human soul - is fascinating to people of all ages, faiths, and walks of life. It covers the issue of death and what happens after it. Scholars of various schools of thought differ greatly regarding the nature and essence of the soul (nafs). Is it a part of the physical body or a non-essential characteristic of it? Is it an entity consigned to dwell within the physical body?, or is it an independent essence in itself? Is the nafs the same as the ruh (spirit)? Finally, what happens to the soul upon death? Is it confined to its body and its grave? 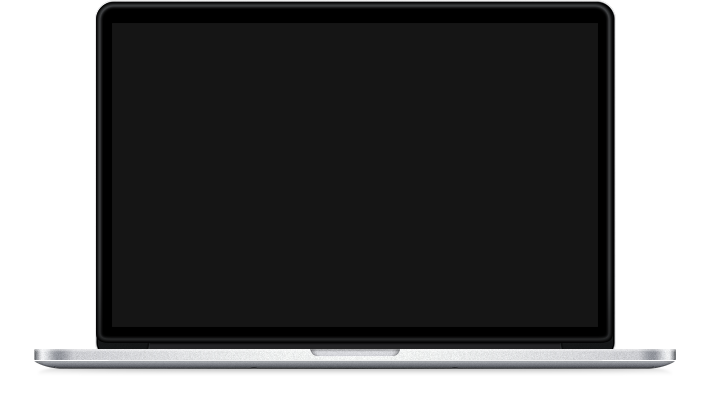 If not, is it free to move about in the unseen spiritual world and on the earth? This book offers a glimpse into the lives of those who have been praised by both Allah and His Messenger in general. 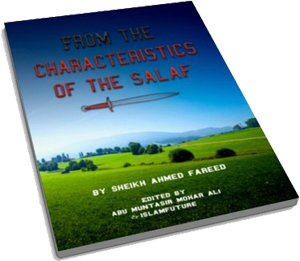 Written in easy English and specially adapted for those who speak it as a first language, it is an invaluable aid to developing one's character in the footsteps of those who lived and worshipped Allah honourably. It is based on an original Arabic compilation and has been checked for authenticity. People of all ages and learning should be able to benefit from this book. The style facilitates vitally needed reflection on this topic and makes for a great gift to anyone for whom we care. In the name of Allah the Most Merciful and Clement: [O Allah I implore Your assistance, O Allah bless Muhammad and his family and grant them peace.] Abu Muhammad 'Ali Ibn Ahmad Ibn Sa'id Ibn Hazm [the Andalusian jurist]. Allah may be pleased with him has said: 1. Praise be to Allah for His great gifts. May Allah bless [our master] Muhammad, His servant, the seal of His Prophets and Messengers; may He grant them eternal blessings. I rely on Him for any ability and strength I may have, and I seek His aid and protection against all the various terrors and ills of this world. And may He deliver me from all horror and suffering in the next world. Contemplation is one of the greatest deeds performed by the heart; it is the key that opens the door which allows the light of guidance to enter; it is the initial step in the direction of correct understanding and comprehension; many people know its virtue but are unaware of its reality, essence and its fruits. Allaah Has commanded us to contemplate, but few do so. 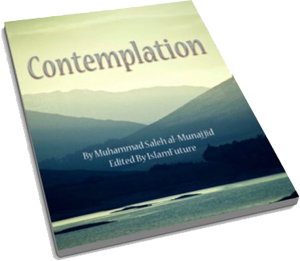 This book is an adaption of a friday khutbah given by Sheikh Muhammed Salih Al-Munajjid which explains the ways in which contemplation can beefit the believer. 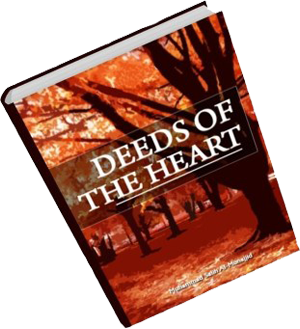 The issue of the deeds of the hearts is an immensely important subject, and this is why many scholars have written countless books on the subject - in order to remind and encourage people to perform them. These deeds require sacrifice and exertion because one's salvation is dependant on them; moreover, the deeds of the limbs will not be performed if these of the heart are absent. Reliance upon Allaah is something that has an immense impact on a person; it is an implication of belief and is one of the finest deeds and acts of worship by which the slave can draw close to Allaah, the All-Merciful; It is one of the highest ranks of Islaamic monotheism because nothing can occur except through one relying and depending upon Allaah for it to do so. 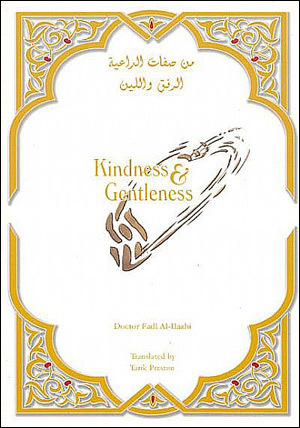 This is the English translation of the Arabic booklet, al-Bukaa'u min Khashyatillaah by Shaykh Husayn al-'Awaayishah who is one of the students of Shaykh Muhammad Naasiruddeen al-Albaanee. In his usual style, the author has adorned his book with verses of the Qur'aan, sayings of the Prophet (sallallaahu 'alayhi wa sallam), examples of the Companions and reports from the pious predecessors. We pray that the heart rendering narrations that the author has so carefully chosen will act a means of softening our hearts, purifying our souls and permanently changing our outlook on our short lives in this world. 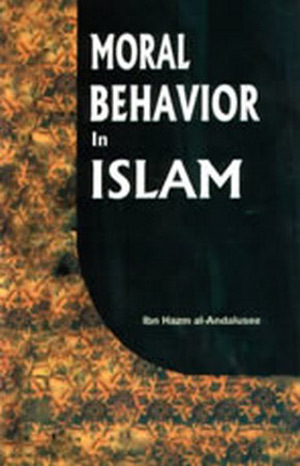 The book is excellent mashaa Allaah. If not one page from the 24 pages this book contains does not cause you to weep, I don't know what will! May Allaah soften all our hearts and let's fear Allaah as He should be feared!